A WordPress Membership plugin allow site owners and businesses to monetize their sites/blogs by driving customers to paid membership programs, which can be significantly more profitable in the long run when compared to other monetization options such as display ads and affiliate programs. Most marketers and seasonal bloggers looking for short-term gains usually avoid paid membership programs and think that they are difficult to build. However, membership plugins are actually fairly easy to use to build a solid member-based website, and there is no shortage of options that even novice users can setup, configure and use. These types of plugins not only provide better growth opportunities, but also help in building a thriving online community and should be considered as a long-term investment. That’s the reason behind changing trends as businesses and seasonal bloggers are taking advantage of membership plans more than ever. A membership-based website provides site owners with full control over their revenue stream and minimizes dependency on affiliates. All membership plugins are not created equal, making it important to choose wisely. There is a huge variety available, which often makes it difficult to choose the one that works best for you. You’ll come across a ton of different options while searching for the perfect one, but the best plugin depends on what you want to accomplish and the features you need. There is no point of paying extra for features you don’t need, but it’s also important to ensure that the plugin supports features you want such as integration with other platforms and data export. Some plugins excel at selling single-level subscriptions, while others work best for diverse memberships. Here are some basic factors that can help you filter out plugins that works best according to your individual requirements. Most plugins of this type allow for creating unlimited membership levels, but there are a few things that can help differentiate them. Some plugins allow creating multiple membership roles, while others provide more flexibility in terms of trial periods. The level of control site owners have over membership expiration also varies and is an important factor to consider during the selection process. Content restriction is a common feature in almost all membership plugins, but flexibility and ease-of-use varies as some plugins offer more flexibility and options, while others and are easier to use. Factors such as restricting small portions of webpages or posts instead of restricting the whole page and ease of setting up restrictions play an important role in the selection process. Some plugins even allow selling access to pages or posts at an individual level, while some allow assigning access to the membership plan. Content dripping refers to releasing new content slowly as the membership ages and not all membership plugins fully support it. If you intend to use content dripping, make sure to check in advance if the plugin supports it. Almost every membership plugin supports coupons as they are an essential component of membership plans. However, not all provide the option to select between individual and bulk coupons, while some don’t offer much flexibility in terms of discount. Integration with other platforms is another important factor that helps differentiate between plugins and is an essential element for advanced users. Most membership plugins support integrations with other systems such as payment gateways, email marketing solutions, forums and CMS, but you may be looking for a specific integration only a few offer. That’s why checking supported payment gateways and integrations is also important to ensure that the plugin works seamlessly with the platform you want to integrate with. There are times when site owners have to move their data from one plugin to another due to many possible reasons, making it important to make sure that a plugin does not lock you in. While most plugins allow you to export member lists in a universal format (that other plugins can read), some don’t, which could be a huge problem when you want to switch. Membership sites are known to be resource hungry, making it very important to choose a solid WordPress hosting provider that focuses on performance and reliability. You’ll also need a SSL certificate to securely process payments as well as a dedicated IP and support line. Even if you are on a tight budget, there are a number of rather affordable WordPress hosting providers that offer free SSL certificates and unlimited bandwidth. However, it’s strongly recommended to subscribe for managed WP hosting with a host that promises top-notch performance. Using business plugins that allow you to efficiently capture leads is also recommended as they help boost subscriptions and have the potential to serve as a growth catalyst. In this list we have gathered together some of the largest and well-established plugins available, these are premium plugins designed for more complex membership sites, if done right these plugins have the potential to make you a lot of money. We have listed the cost associated with each plugin, some charge a one-off payment, some are free with paid add-ons and others charge you a monthly fee depending on how many members your site has. Let’s jump straight to our top picks of some of the best WordPress membership plugins that offer great value for the money. It’s still hard to say which one is the best as it all depends on your individual requirements and budget, so have a look at these top candidates and decide for yourself the plugin that works best for you. As the name suggests, Restrict Content Pro specializes in locking away exclusive content and providing customizable access to members. But that’s not the only thing the plugin is good at as it also offers a variety of other powerful tools that make it one of the best WordPress membership solutions. It allows creating unlimited discount codes based on flat rates or percentage and can be integrated with a variety of payment platforms, including PayPal (both standard and express), Stripe, Authorize.net, 2Checkout and credit cards. Data export is also easy and users can effortlessly generate details of active members and all payments in CSV format. 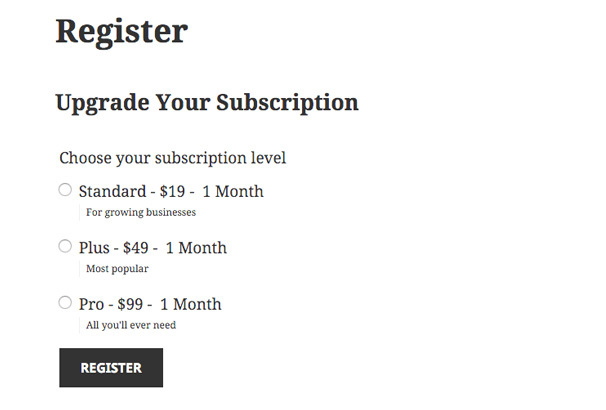 There is no restriction on subscription packages as RCP allows creating free, trial as well as premium subscriptions. RCP is easy to setup and allows site owners to deliver premium content without much hassle and learning curve. Pricing starts from $99/year (Personal), while the Ultimate package (one-time payment) costs $499 and includes 11 pro ad-ons. 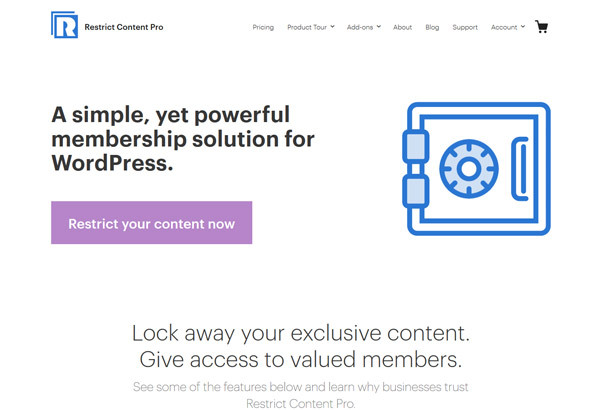 Memberpress is one of the most popular and easy to setup and use membership plugins and offers better integration. The content access controls provide site owners with full control over access to content, including pages, categories, individual posts, files, tags and more. It also supports content dripping and shows restricted content only after a specified amount of time, making it an excellent option for sites selling learning materials, online courses etc. However, it offers limited integration and supports only a few payment gateways. Its works well for users who want a straight forward plugin that is easy to setup and use. The Business Edition costs $119/year and works great for new membership sites, while Developer edition costs $239/year and is suitable for advanced membership sites. Both packages offer unlimited memberships and digital products and make it easier to protect and drip content. 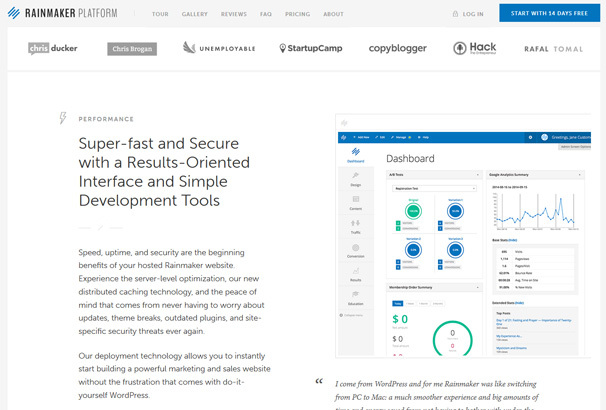 Rainmaker platform offers a comprehensive suite of tools and features for improved digital marketing and sales. The all-in-one solution includes membership plugins, hosting, site builders, email services and more and is ideal for users who don’t want to take the stress of dealing with multiple platforms and technologies. But it costs a lot i.e. $125/month (billed annually) or $165/month (billed monthly) and does not provide complete control over the site. Users only have pre-selected themes at their disposal and cannot use plugins to extend functionality. But that’s probably because the platform itself includes everything a user requires for a membership site and these restrictions help minimize incompatibilities. 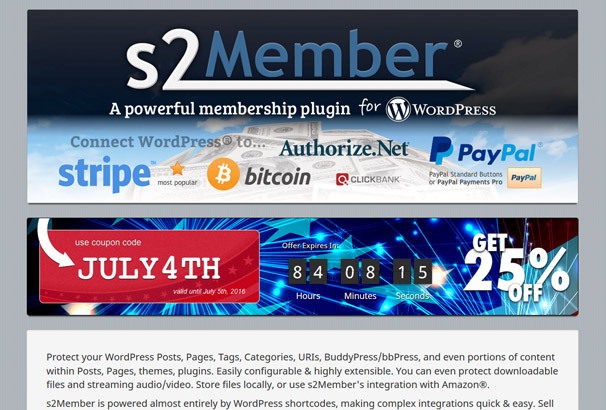 S2 Member is a great option for users who don’t have the budget to purchase expensive subscriptions. The base plugin does not cost anything, yet still manages to offer enough features that provide a solid starting point. The highly customizable and extensible plugin allows users to protect portions of content within pages/posts. It also makes complex integration easier as it’s powered by WP short codes. The Pro Version supports a single-site license and costs $89 (one-time cost), while the unlimited sites license costs $189 (one-time cost). Users who don’t need advanced features and are just starting up find the free version particularly interesting as it still manages to offer many features. WishList Member is a premium plugin better known for providing a lot of controls and options to explore, which can also result in confused users who don’t have time to explore all the options. WLM is suitable for users who want complete control over premium content and their membership site. However, the plugin code is encrypted and developers may want to look elsewhere if they intend to tinker with the code for customizations. WLM does not work with Pressable due to performance issues and isn’t a feasible option if you plan to use their managed WP hosting services. Single site license costs $197, while multi-site license offers unlimited URLs for $297. 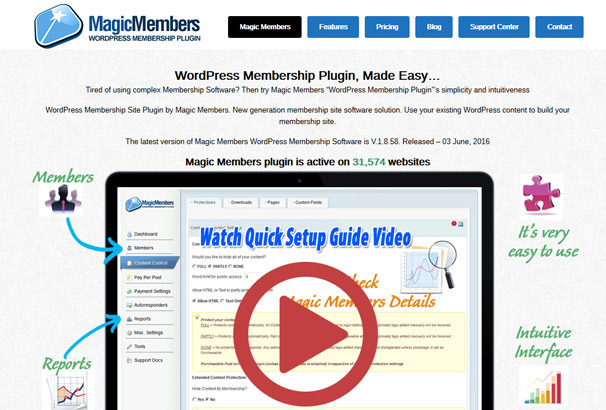 MagicMembers offers top-notch content dipping capabilities and is a good plugin for users who are primarily focused on delivering online courses. It’s simple, easy-to-use and intuitive interface makes it easier for users to manage members and content. MM is also compatible with a lot of other platforms and offers excellent integration capabilities. It does not require any coding experience and is fairly easy to setup, configure and use. MagicMembers also excels when it comes to payment gateways and supports a ton of them, including PayPal, Skrill, Stripe, Authorize.net, 2Checkout, WorldPay and many more. Pricing starts from $97 (one-time payment) for one domain installation, while three domain and unlimited domain installation costs $197 and $207 respectively. 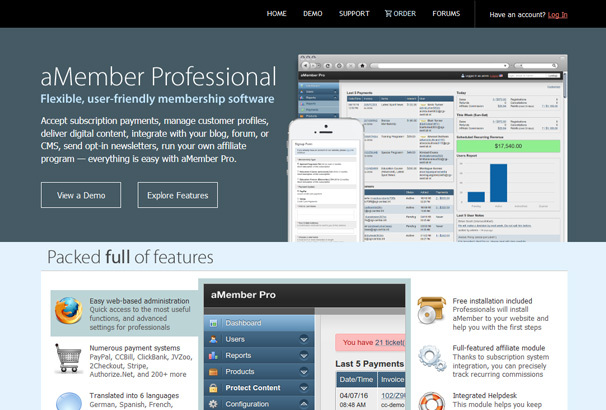 AMember Pro is basically a PHP script that can be installed on a webhosting server and comes with free installation for non-technical users. Available in six most widely used languages, the plugin supports content dripping and offers unlimited membership items and levels. AMP also supports a ton of payment gateways and features an affiliate module that allows accurate tracking of recurring commissions. The plugin costs $179 (life-time license) and includes free installation, 6 month upgrades and ticket support. Member Mouse is a powerful and easy to use general membership plugin which can be used to sell subscriptions, memberships and even products. It allows you to easily setup a member’s area which is password protected and manage upsells and downsells. From the admin you can manage customers, automate customer services and also monitor your vital statistics, rentention metrics and so on. 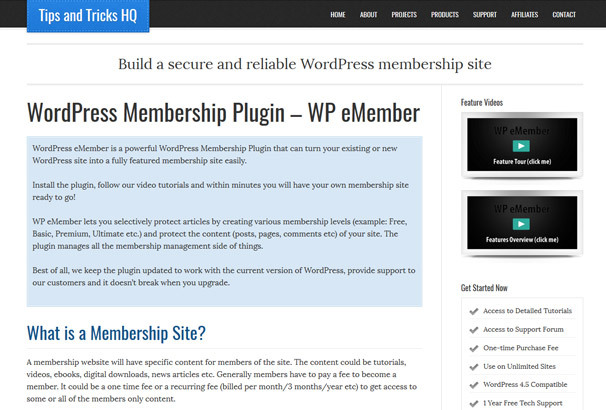 WP eMember is a more simplistic plugin which will let you quickly add a members area to your existing WordPress website which integrates with bbPress. 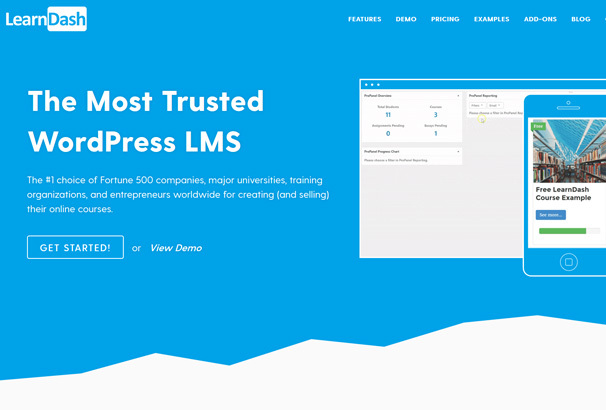 LearnDash WordPress LMS plugin is popular for its ease of use, user friendliness and powerful features it offers. The plugin also supports a lot of integrations and includes many advanced membership modules usually missing from other plugins. It’s very easy to setup and use and allows creating dynamic and engaging online multi-tier courses. Some notable features include drip-feeding, advanced quizzing, dynamic forums, shopping cart, detailed reporting and Tin Can API and SCORM. Pricing starts from $129, which includes 1 site license, unlimited users and courses and a ton of other features. Plus and Pro packages cost $159 (10 site licenses) and $299 (unlimited site license) respectively and include ProPanel. Next PostThe Complete Guide to Email Marketing Services: Which are the Best Providers? 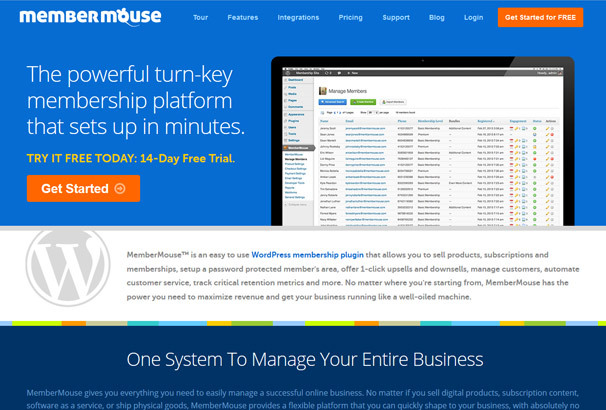 I used UserPlace – A complete Free WordPress Membership Plugin. Excellent plugin with great documentation, It is very nice and simply superb. It has easy settings to understand. And many free features. 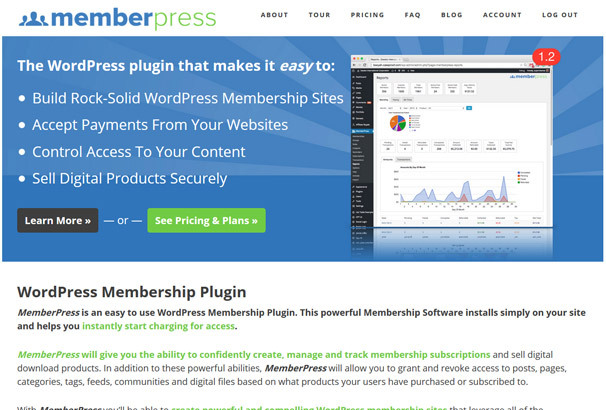 Great WordPress Membership Plugin. Best FREE membership plugin!